I sure do love my Plantain Pancakes with Ginger Syrup, but I typically opt for more savory breakfast foods. This sandwich offers the best of both worlds. 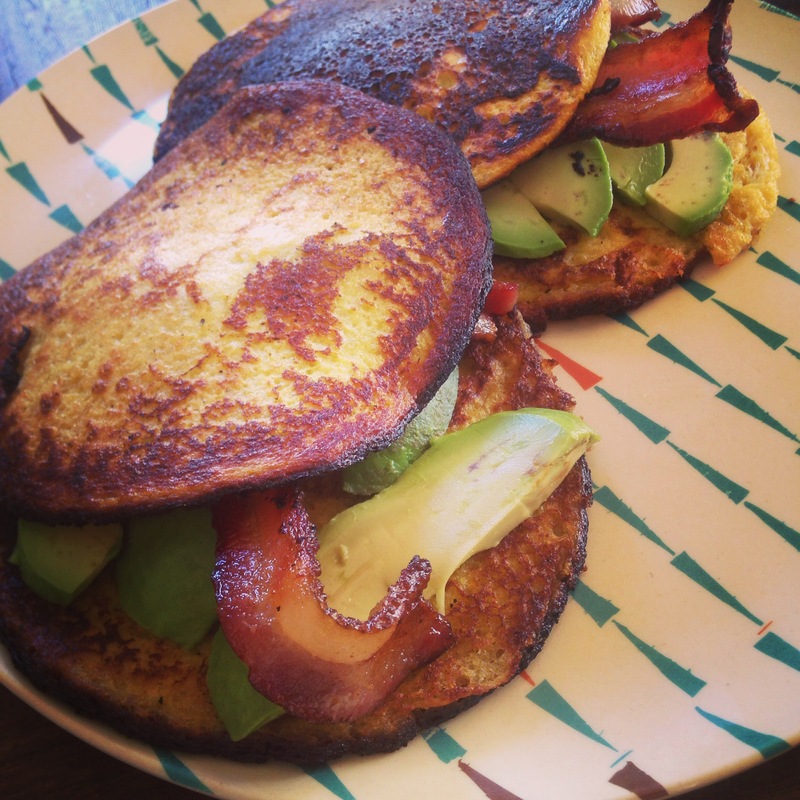 Sweet plantain pancakes are fantastic with the crispy, salty bacon and buttery avocado slices. There are tons of healthy and satiating fats in this meal. It should keep you satisfied all morning and possibly into the afternoon! Make pancakes according to this recipe (basically blend and fry!). These amounts will make about 4 – 5 pancakes. Using pancakes as “bread” add bacon and avocado in between for a quick breakfast!